November kicks off a month of gratitude as we celebrate Thanksgiving in the US. 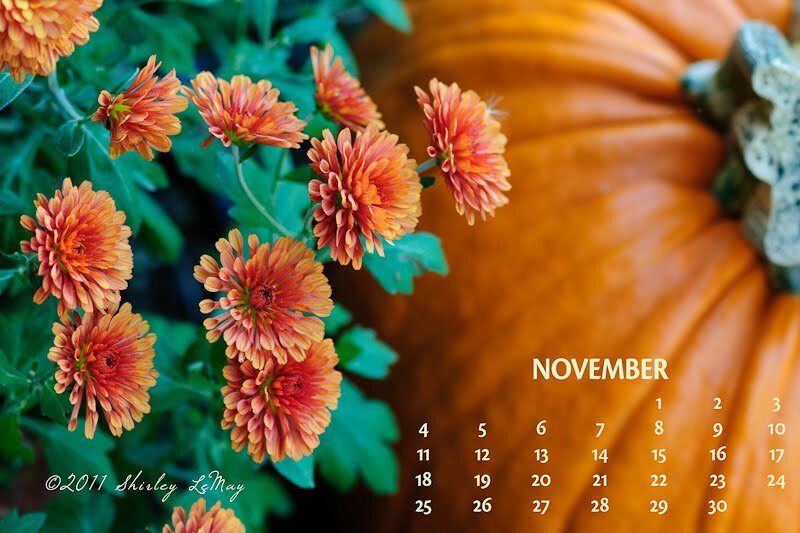 And I am offering a free download - November's calendar, suitable as wallpaper for your computer. Here is the corrected link for Calendar number one from Box.com: Free November 2012 Calendar - Flowers . Bonus - two for the price of none! I created two versions of this month's calendar - so the original link was to calendar number two. 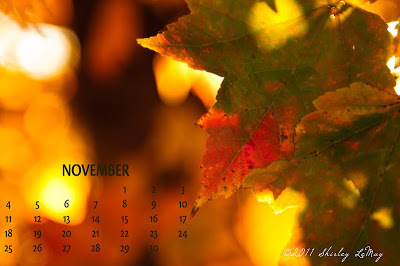 You can download Calendar number two from Box.com at this link: Free November 2012 Calendar - Leaves .